Deciduous perennial. 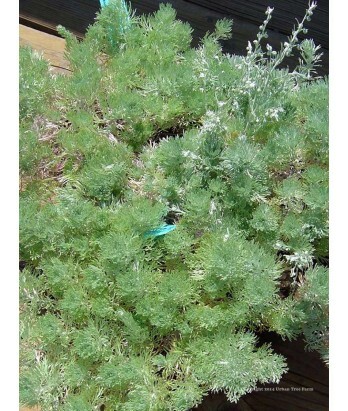 Fine silver foliage forms low mounds. White flowers are insignificant. Makes a great accent between other perennials or at front of border. Deer resistant. Light to moderate water needs once established. Adaptable to various soil conditions. Hardy to 0°F and below.